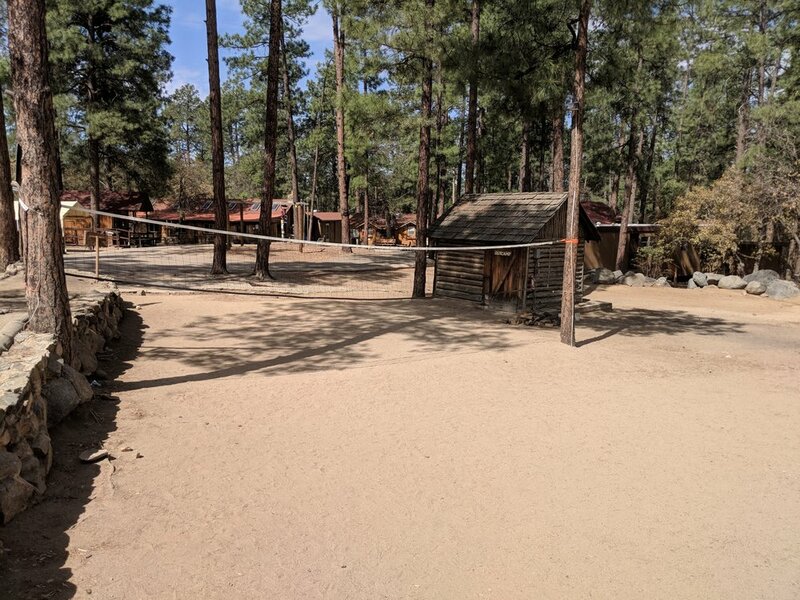 Friendly Pines Camp is the perfect host to both schools large and small. 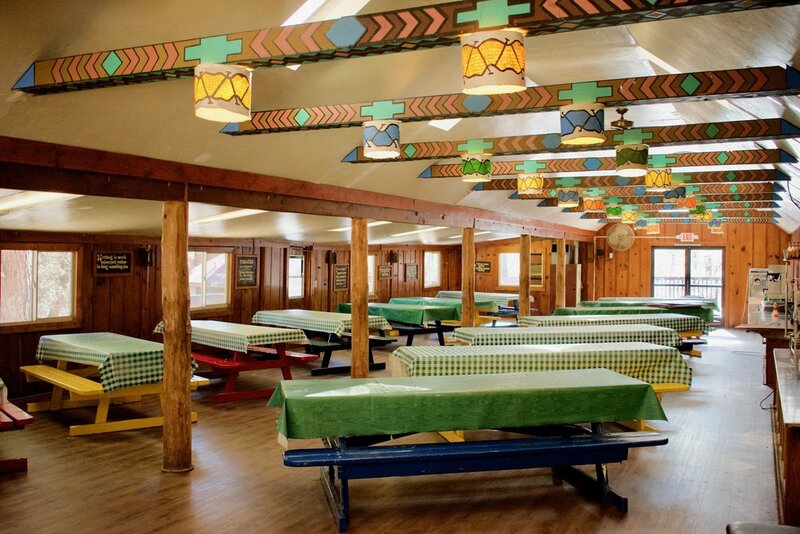 Main Camp can accommodate 250+ campers; while the Log House can accommodate school groups smaller than 45. No matter your group size, we provide you with all the basic amenities such as a hot shower, and comfortable spacious bathroom facilities. The cabin heater keeps it nice and toasty on those cold winter nights and when the weather warms up, opening up a window for a cool breeze is always soothing. 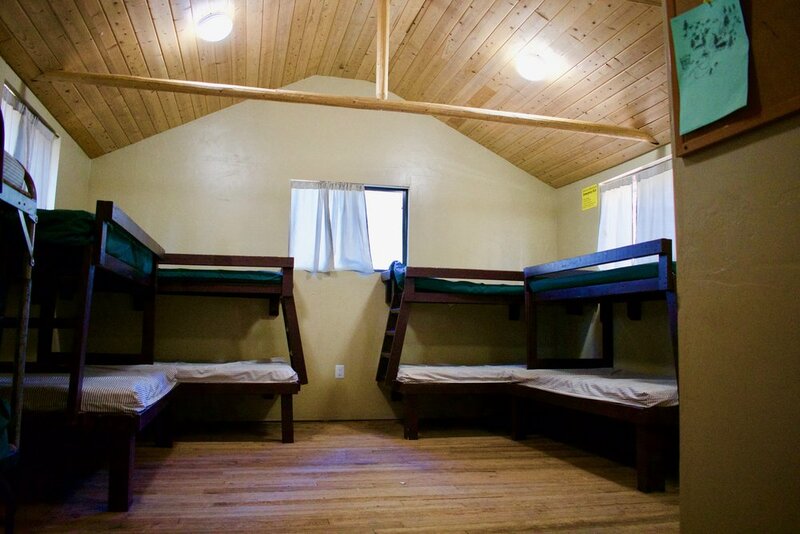 Each cabin has its own private shower, sink and mirror, toilet, propane heater, and comfortable bunk beds. 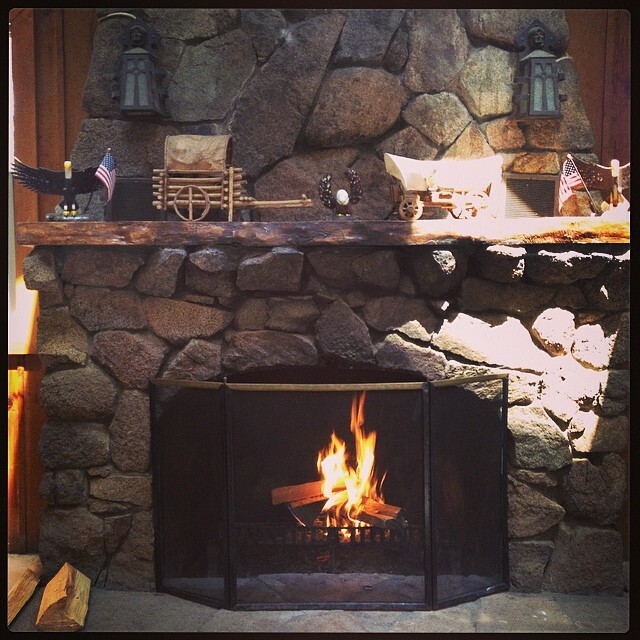 Modern amenities compliment the rustic environment. We provide toilet paper and hand soap. Take a look at our recommended packing list. 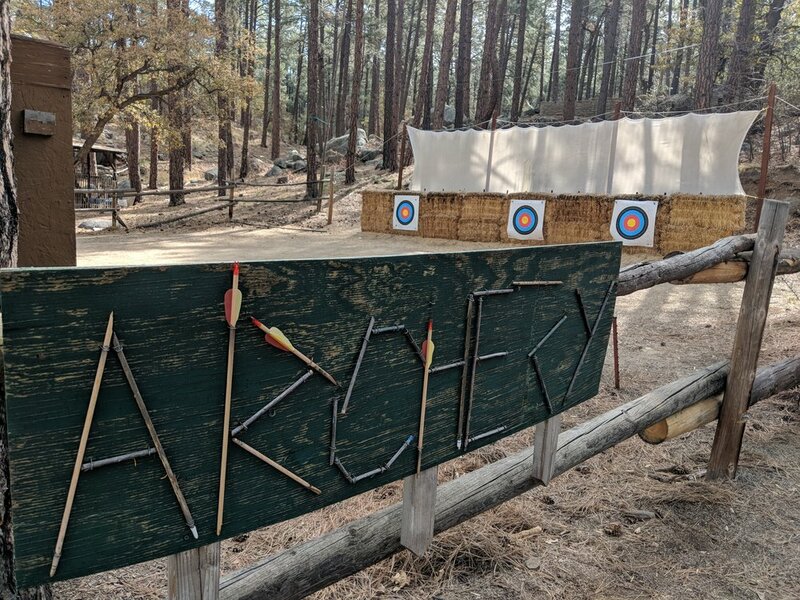 Numerous hiking trails include Toby's Hole, Disc Golf Trail, Lake Trail, Goldwater Lake Trail, and the infamous boulder pile trail. Check out our camp map. Find yourself surrounded on our 120+ acres of land are left as untouched as possible. We have preserved the natural beauty of the forest. You will be sure to see herds of deer eating, tree squirrels running up and down a the trees, and birds’ chirping echoing throughout the forest. 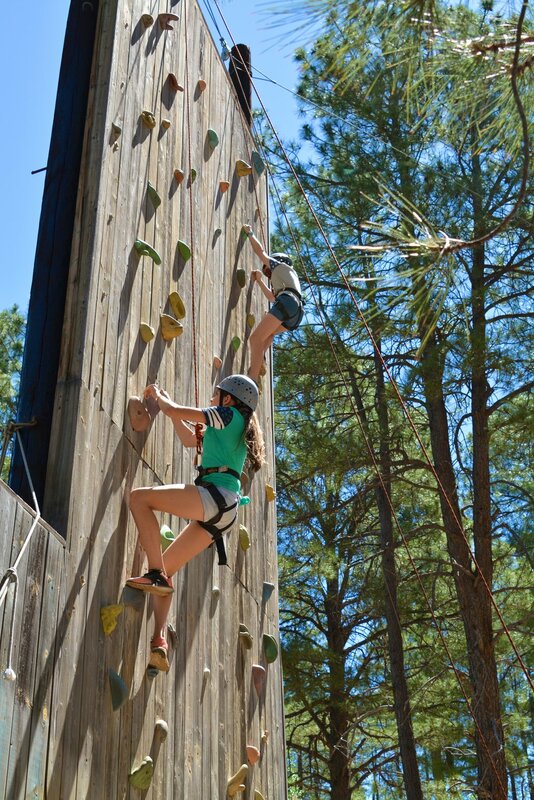 The Challenge Course hosts all our team building activities. Whether it’s high in the sky or a bit closer to the ground, the 15+ dynamic elements will be sure to bring your students together. Team building elements include the trust fall platform, team wall, zig-zag walk, spider’s web net, nitro crossing, and a myriad of challenges with pool noodles and ropes. 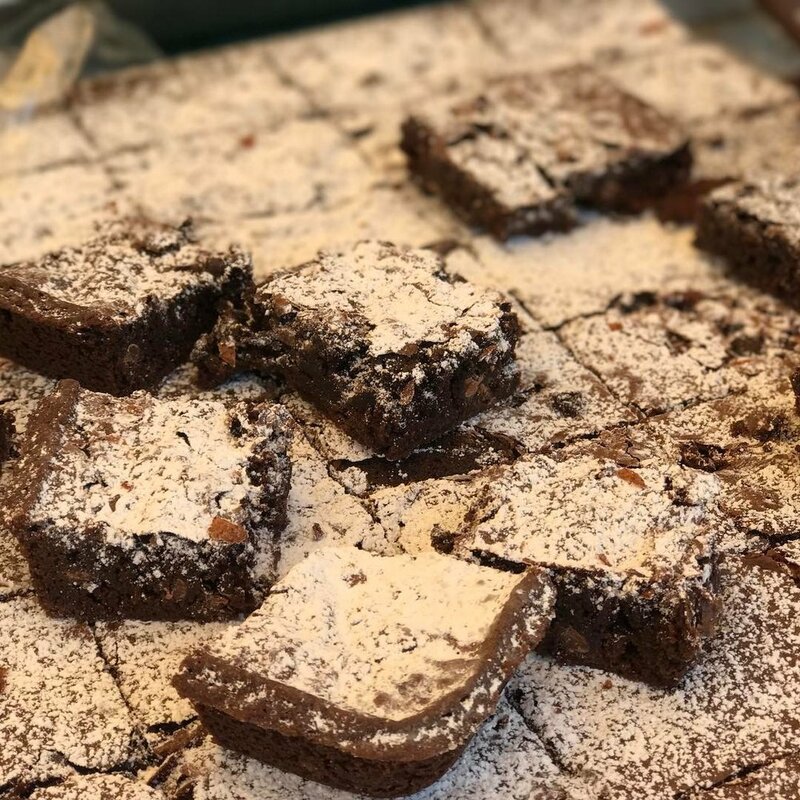 We pride ourselves on the quality and selections of our meals. 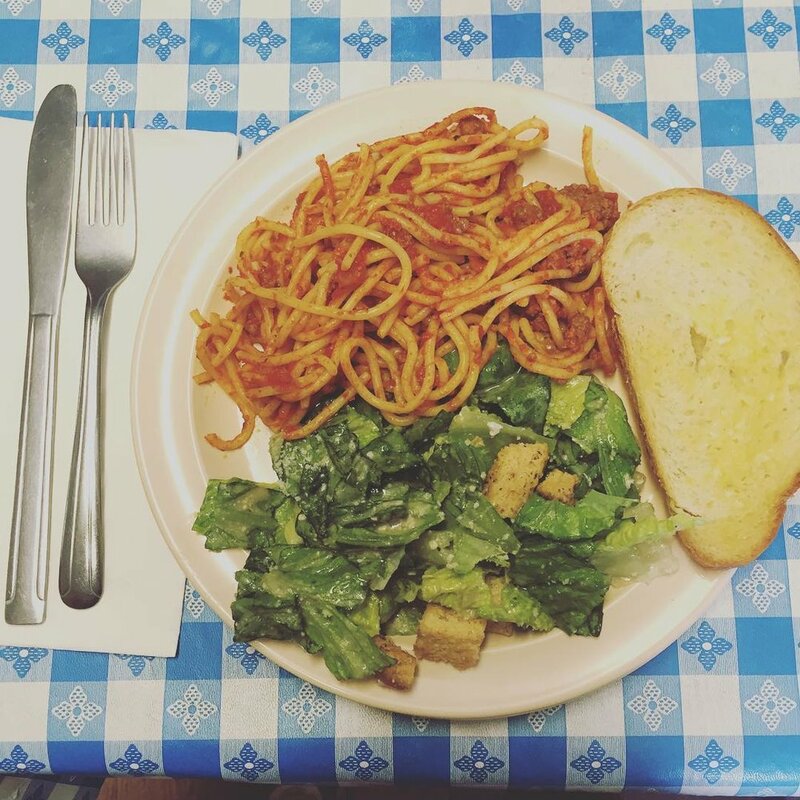 Menu items like Roast Turkey Dinner, Spaghetti, Chicken Sandwiches, Tacos, Breakfast Bagel Sandwiches, and even burgers.